The CORSAIR LL120 RGB LED 120mm PWM White Smart Fan boasts 16 individually addressable RGB LEDs spread across two separate light loops in a striking white housing, creating vibrant lighting and visual effects. 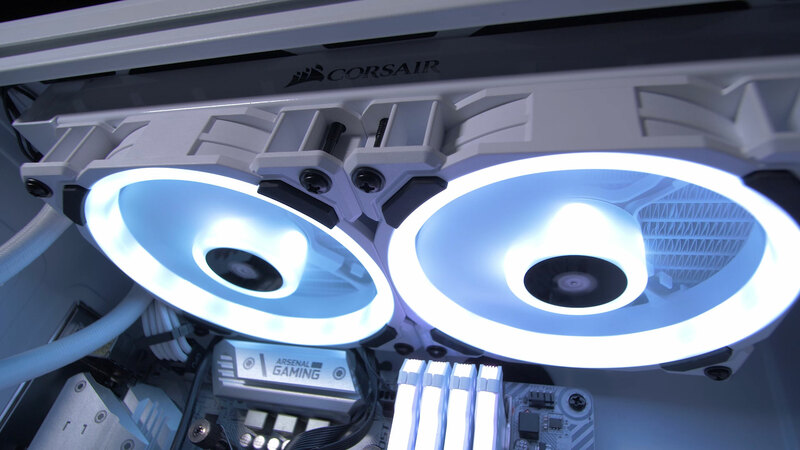 Complete your CORSAIR LL RGB-cooled system with an additional fan, featuring 16 individually addressable RGB LEDs split between two separate light loops. 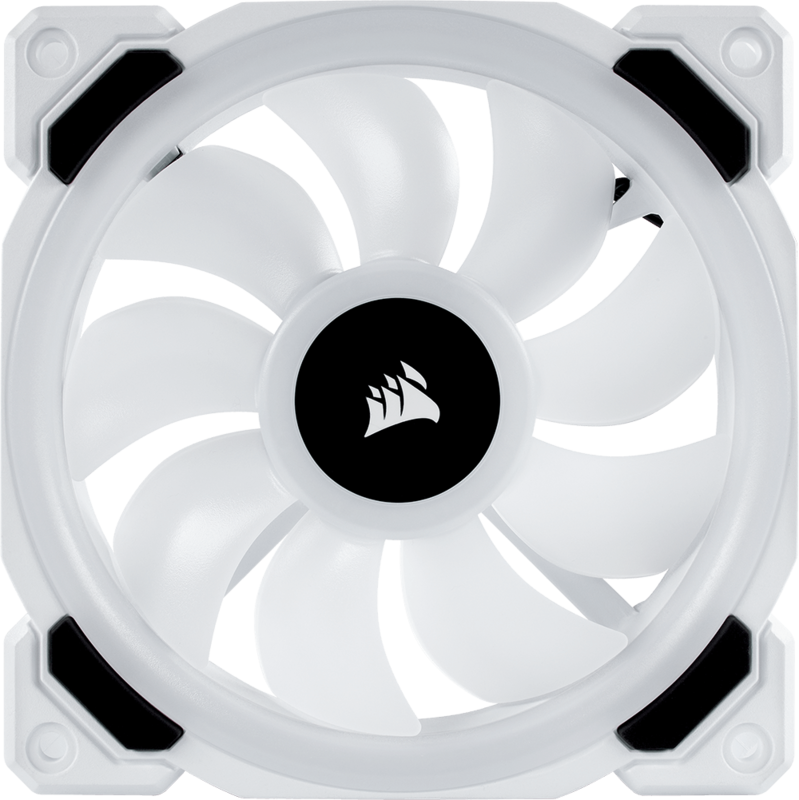 Reflects light for brighter lighting and matches the clean, refined look of other white CORSAIR products. 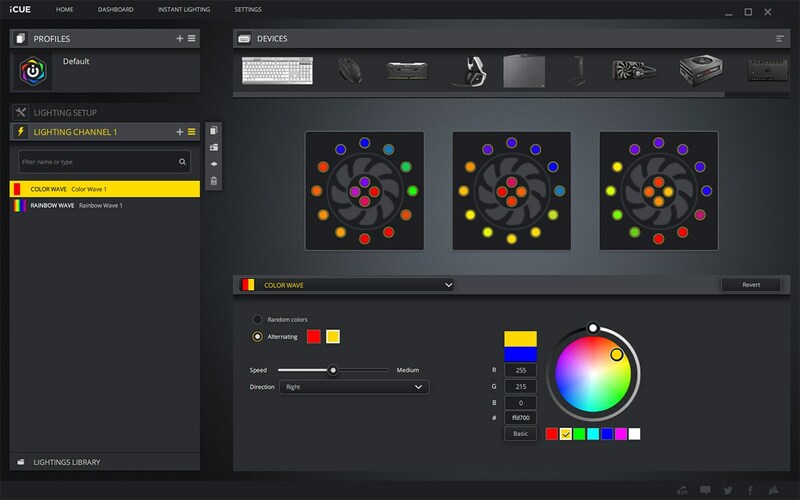 Create dazzling lighting patterns and effects with powerful CORSAIR iCUE software, bringing your system to life with dynamic RGB lighting synchronized across all your iCUE compatible products. Requires a CORSAIR Lighting Node Pro and RGB LED Fan Hub (not included). Dynamically control fan speed from 360 RPM to 2,200 RPM to minimize noise or maximize airflow. This product is intended as an expansion of CORSAIR’s LL120 RGB LED three fan kit that includes the RGB LED hub and Lighting Node PRO.